Our auto-tie horizontal balers provide an automated approach to baling material through a horizontal press. Material is automatically tied at the end of each bale, providing a highly efficient solution for increased capacity baling needs. 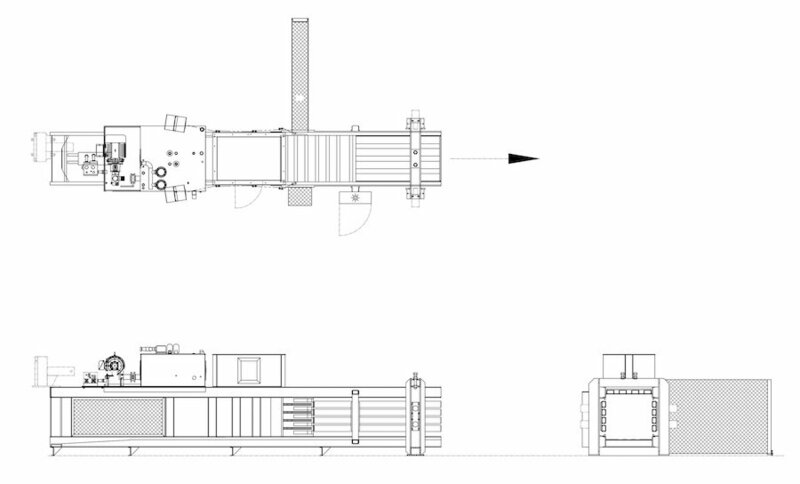 The auto-tie baler should be considered when production requirements exceed 150 tons/month. Auto-tie horizontal balers are ideal for distribution centers, manufacturing facilities, mid to large size recycling and material recovery facilities (MRFs), and mid to large size printers. Auto-tie horizontal balers are ideal for baling: shredded materials, document destruction, OCC, and high paper grades.